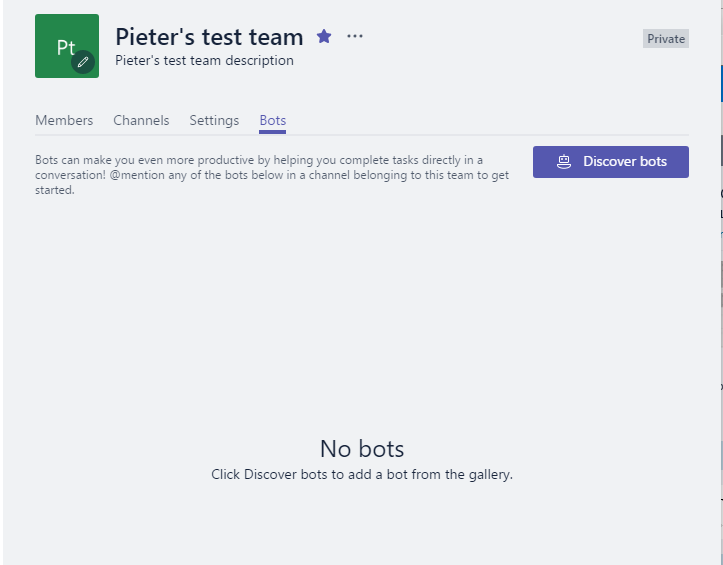 Last week I went through the settings of Microsoft Teams. This included the discovery of bots. It looks like this is a change currently on the way. And so far I like it! 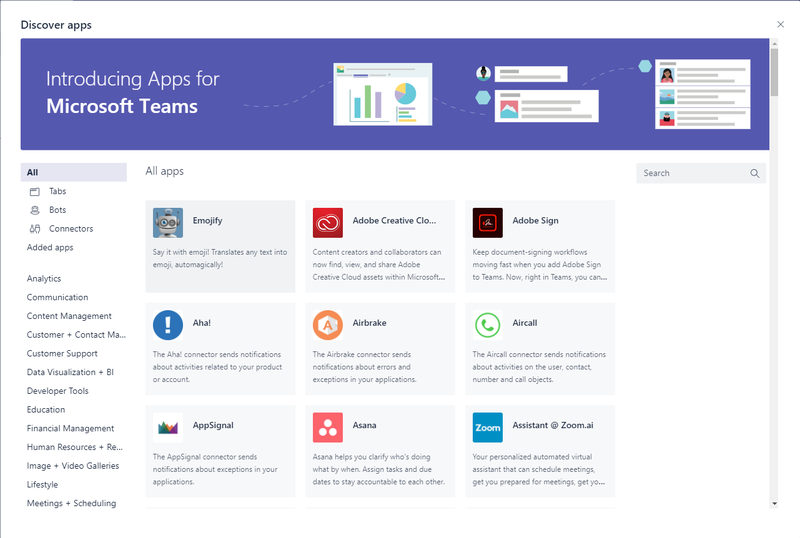 Teams is now really becoming the home of your apps. It will become a difficult choice to find the right location for your apps. Microsoft is pushing many pieces of different technology all at the same time. I guess it is all down to the user, where they prefer to work. Does this mean that we will develop the same solution in different locations, just to please the users? Or will it just be a matter of accessing the same app in different ways? ‹ Office 365 – SharePoint Online – How do I manage permissions on a document?